What is AVG Antivirus Checker? As a digital marketer, you need to deal with hundreds of links on a daily basis that might contain potential threats. While backlinking your website with any high ranking URL, the main aim of every marketer is to gain maximum meaningful traffic. However, your competitors might not happy to see your high domain authority rate. Consequently, they may launch any malware threat through backlinks, directly to your website or sometimes a website gets a virus through its operating system. If anything wrong happens to your URL, it can badly affect the business. The attackers of spyware can steel crucial data of customers and use it against you. Also, there are many other possibilities that create circumstances against you. If you want to keep your website always safe from these cyber threats, it is advisable to crawl it with AVG Antivirus checker tool. This is an online tool which is completely free of cost. You don’t need to sign up with any particular ID or install the complete software of AVG to make it work. Our AVG Antivirus checker is an online completely free seo tool to check if a website has spread any kind of viruses, malware programs, and threats. The tool specifies by scanning your entire website for malware issue and give immediate results to the user if any malicious code has been detected on your site. If any malware-infected within your site, it is your responsibility to fix the issue and make sure visitors are not going away from your site. By checking every month twice or thrice will help you find malware issues are injected into the site because it is a matter of security for the growing site. As our Avg checker is an online completely free tool to scan all types of malware issues on the site without downloading any external software. You can test your website URL any time free of cost. If you find any threats detected on your site, the website administrator should look after and fix as soon as possible to make sure the website is safe and secure to the visitors. Every day 1000's of new website's has been registering from top hosting providers like GoDaddy, Bluehost, host-gator and come to live to reach millions of visitors. With the over growing number of visitors to your site, there is a chance of virus-infected by the hackers and make the site vulnerable to decrease the site health. This may affect your site rankings globally and the search engine will block your site if the malware issues are not fixed. So we bought one of the best tools called AVG Antivirus checker online completely free to test and use all the time. When you enter single or multiple URLs in the search box on this tool, the crawlers of AVG Antivirus automatically go through all of the pages of a website. It thoroughly checks if any threat malware, spyware or ransomware silently stealing information from your domain link. How to use AVG Antivirus Checker Tool? Step1: You can just enter 1 or 20 URL's at a time in a text box in a separate line one by one. Step 2: After clicking submit button the tool will scan your site with any malware programs infecting your site. If any issues found on your site, the tool will give the result immediately to resolve it. It is necessary to avoid blocked by search engines. Cool Seo tools offer free Avg antivirus checker tool which is a faster, reliable and secure way to scan your website and check for virus issues. How to protect your site from these malware attacks? Keep changing your administrative logins and passwords at regular intervals of time for every 3 months to avoid credentials hacking. Take website and backup regularly to avoid injection into your website. Avoid keeping the cracked software, scripts, themes into your site because it may in the back-end coding and will definitely fall in search engine ranking. Always use genuine versions to avoid virus attacks. If you are using website keep your and the version at regular intervals of time. Purchase SSL certificate from top hosting providers and install it into your domain to make more secure to your site. Cybersecurity is one of the major threats of current times that no one can ignore whether you are using a Smartphone or PC. A gadget which is connected to the Internet is always prone to various malware and virus attacks that can erase all data of your system, steal the confidential information or ask for ransom in return of data safety. Why do we need AVG Antivirus Checker tool? As mentioned above, the cyberspace is always vulnerable to unwanted threats that can destroy your online business in just a few seconds. Generally, most of the administrative level activities of a website are controlled by the webmaster tool. Nevertheless, this tool is not effective enough to detect the potential threats which are smartly altered by attackers. If any virus is crawling on your web pages it badly affects the health of several links and reduces the SEO ranking too. It is possible that these viruses prevent the Google crawler to crawl over the crucial areas of a website were all SEO optimization has done. Consequently, your efforts will go worthless. Whether you are a digital marketer or the owner of a website, checking of antivirus on a regular basis is essential. There are the most popular online tools similar to AVG Antivirus checker. When you open any of these tools, different functions may appear such as the capacity of handling total URLs in a single time. Generally, a good AVG Antivirus checker tool can handle up to 20 URLs in a single time for scanning. The main aim of every SEO strategy is to keep a website at the top level of search engine listing. SEO is a long term practice that gradually improves the ranking of a site & keeps them stable. However, there are many other competitors of the same business profile will be practicing to overtake you with any hook or crook. If they fail to defeat you in an ethical way, sending spyware and viruses remain their last option. They send some silent viruses to your website that you cannot even notice because your website looks completely fine. However, it may break down several links of web pages, steal sensitive information regarding the targetted people and information about the existing customers. If the virus is capable of affecting Google crawlers, your XML sitemap, robot txt generator, backlink checker or any other tool will fail to work properly. Basically, it is the responsibility of your server to safeguard its all websites from such kind of attacks. However, they cannot always succeed. Also, some servers offer virus protection in their most expensive plans which are not affordable to everyone. As a website owner, you have to choose a web hosting server to activate your website online. However, their premium plans might be not in your reach. Even if you buy a cheap plan without antivirus security, these tools can help you free of cost. It can save your lot of money. Not only the monetary factor, but every website owner must have complete information regarding the safety of his/her website. Sometimes, even the premium plan with antivirus service fail to detect the latest threats. On the other hand, the AVG antivirus checker is an online tool that always remains up to date with the latest security patches. Regular checking habit gives you peace of mind which is very important. You may be doing online business with ethical marketing strategies, but not all of your competitors believe in the same strategy. Therefore, prevention is always better than complicated and partial cure. How does the AVG Antivirus Checker tool work? From the above-mentioned list, choose any tools that seem handy to you and open it. Generally, these websites comprise a set of numerous small tools that are meant for SEO purpose. While searching the relevant link, enter the name of the website along with AVG Antivirus checker. For instance, type “Cool SEO Tools AVG Antivirus Checker” in your search engine. The search results will provide you with a direct link to that particular tool rather than navigation options. Once the tool is open, you will see a box to enter the domain name. Some tools can handle only 1 link whereas some are capable of crawling on 20 URLs at a time. After entering the URL, click on the submit button to let the crawler of antivirus to go through the entire website. When the process of crawling finishes, it will show a long list of antiviruses that might span from 40 to 50. These antiviruses are installed by the web hosting server to make sure that at least one of them can detect the latest threat. Watch the status of every antivirus in that list. Sometimes it shows “unrated site” there is no online threat. However, the problem occurs if any antivirus shows attacked status. It is capable of showing you the security level of your website. Every web hosting server installs a different number of antiviruses because one cannot provide ultimate protection. New viruses come to existence every day that may not be detected by the old security patch of any particular antivirus. However, the server becomes safer if there are multiple monitoring systems. For maintaining the SEO ranking of your website, it is essential to safeguard your website from all major or minor attacks. Even a single virus has the potential to ruin the ranking. 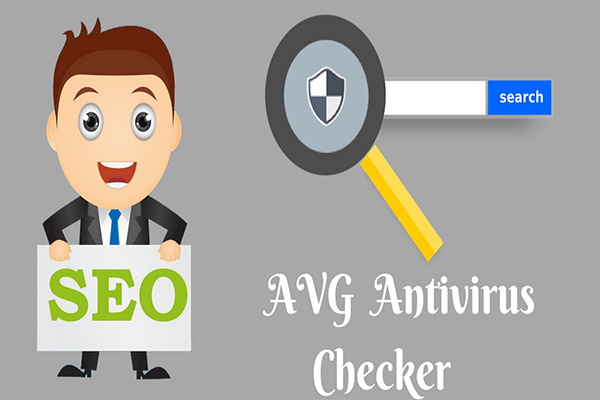 The AVG antivirus checker helps the SEO experts to monitor the real-time status of a website. If anything wrong happens, the “attacked” status will appear. You can implement defensive measures timely to prevent any possible damage. The owners of the website must have knowledge about the live status of his/her website. For checking its health status manually, the AVG Antivirus checker is a proven tool. It shows a complete list of antiviruses and their live status to make sure that your website is not attacked by any potential threat. The Antivirus status checker is available for free of cost. There is no need to burn your money on cybersecurity experts in order to confirm that a website is protected from viruses and spyware. This online tool can perform all activities of monitoring without asking for any subscription fee or even your personal data. The online tools like AVG Antivirus checker are very small yet useful for the optimization of a website. They are very convenient to use and almost free of cost. All you need is the knowledge of using the right tool with the right technique at the right place.